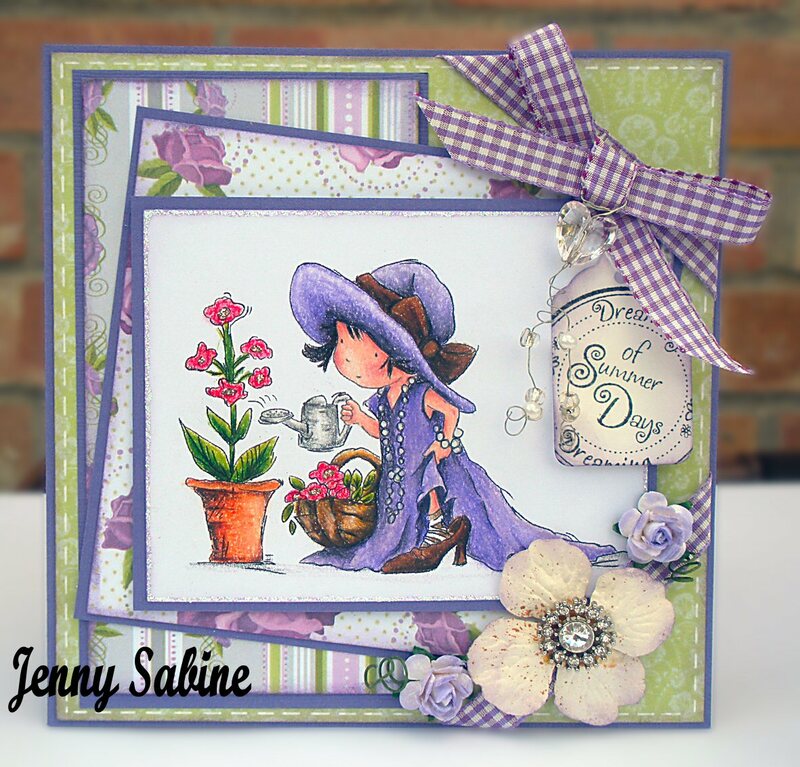 Sabine Card Creations: EAC 152 - How Does Your Garden Grow? EAC 152 - How Does Your Garden Grow? Today over at Everybody Art Challenge we are sponsored once again by Lemonade Stamps. Be sure to check out the website for lots of gorgeous papers etc. For my card I have used papers from Lemonade Stamps. The image and sentiment is from Lili of the Valley and is coloured with Prisma Pencils. The paper is edged with Dusty Concord distress ink and faux stitching. Embellishments are a few flowers, ribbon and beads. Love your gorgeous card Jenny, what a sweet image.